Back in March I popped by the Michael Kors London office, to have a chat with the lovely ladies in the marketing team and took some photos in conjunction with one of their recent social media campaigns; #whatsinyourkors. A month or so later the campaign launched in ‘Stylist‘ magazine. 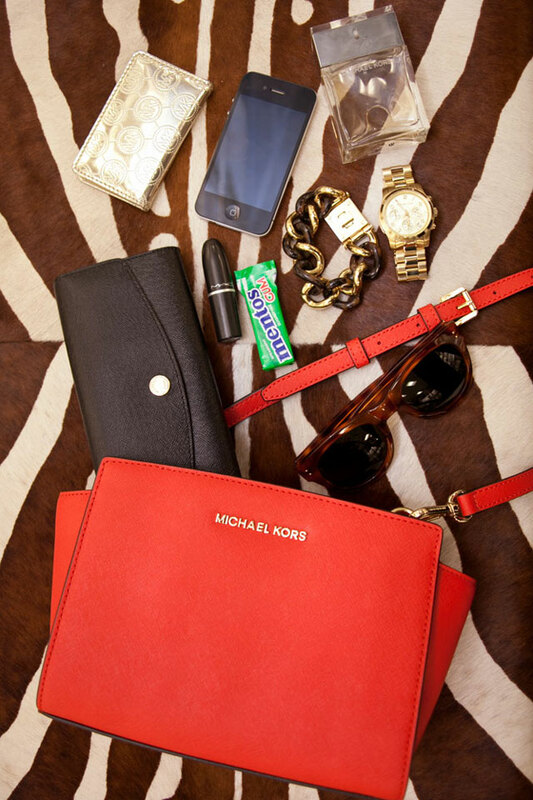 Michael Kors promoted the campaign on their facebook page, and one my shots featured! shown below. 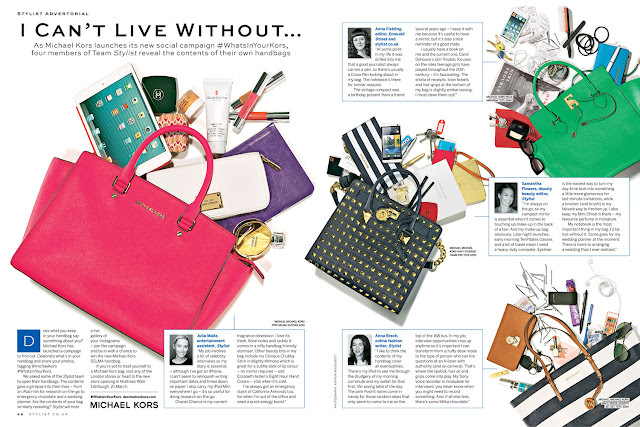 The campaign was a fun way to share pictures of your handbag and its contents! By sharing a photo on instagram using the #whatsinyourkors you could have been in with a chance of winning a Michael Kors ‘Selma‘ satchel, now I’m a sucker for a handbag most of the time, but these beauties are to die for! I couldn’t be more honoured to have one of my shots feature as part of the campaign. Previous Post Hunger Issue 4 Launch Party!